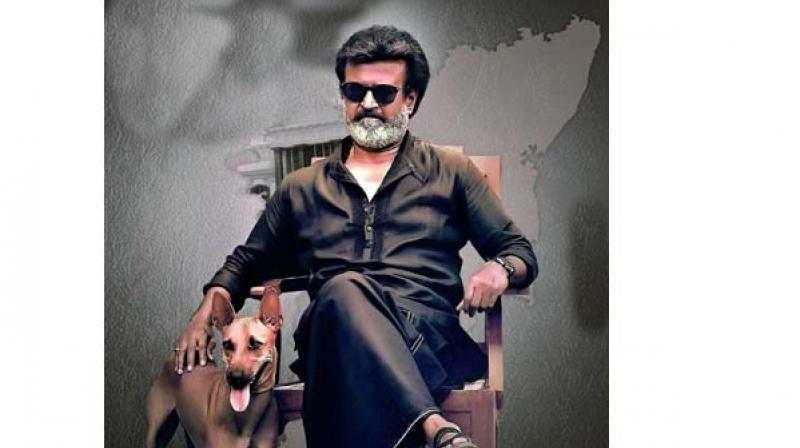 The story is set in Dharavi, a Tamil stronghold in Mumbai, of which Karikaalan alias Kaala (Rajinikanth) is the undisputed leader. Whenever a Rajinikanth film releases, it creates a buzz not only in Tamil, but all over the country. Pa. Ranjith, the young director who directed the superstar in Kabaali, associates with the actor for the second time in Kaala, which is also the Tamil debut of Bollywood actress Huma Qureshi. The story is set in Dharavi, a Tamil stronghold in Mumbai, of which Karikaalan alias Kaala (Rajinikanth) is the undisputed leader. A powerful politician Hari Dada wants to grab this land for his real estate deals and Kaala tries his best to prevent it. Protests start in Dharavi and spread across Mumbai. In a show of power, Hari Dada harms Kaala’s family. But Kaala doesn’t buckle and decides to take on politicians. This conflict forms the crux of the story. If you are a fan of the star, you will be disappointed as there are no punch dialogues or mannerisms, the regular mass elements of a Rajinikanth movie. The treatment is more realistic and does away with the actor’s all-powerful, star image. However, this makes the film seem slow in certain parts. But there are interesting parts too like the encounters between Rajinikanth and Nana Patekar as well as the climax. When it comes to his performance, the superstar does steal the show. The role he played in this film perfectly suits him and also brings out his humorous side, like the comic bits with Eswari Rao. Though there are good action sequences, the Rajanikanth magic seems to be missing. Nana Patekar does a great job as a powerful politician and his presence makes the film stronger. Eswari has pulled off her role as the superstar’s wife with ease. Huma Qureshi too delivers a decent performance. Sampath Raj and Sayaji Shinde are just okay. The cinematography is excellent. The art director gets a pat on his back for creating a realistic Dharavi set. The background score by Santosh Narayanan is good. Overall, Kaala falls short of expectations as it doesn’t live up to the tag of a ‘Rajnikanth film’. Though there are a few moments here and there, these are overshadowed by slow narration and some boring scenes. All in all, if you’re expecting a larger-than-life performance, you’ll be disappointed.